Chennai Times managed to gain entry into the heav ily-guarded set of Vikram and director Anand Shankar's Iru Mugan recently . 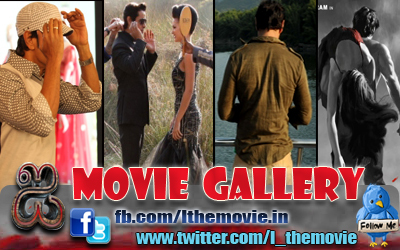 The team has been canning an action sequence in this set in Chennai.Nobody , including the director, uses mobile phones on the set as the unit is keen about photos of the actors not leaking out from the set. We were told that even Vikram has to get permission from the director if he wants to click a selfie! While we were there, the director was canning an action block with the actor in a set that resembled a tunnel. CO2 gas was being blown for every shot they canned to add a smoke effect to the action scene. Nitya Menen, who is playing one of the female leads, was leaving after completing her portions, just as we arrived. 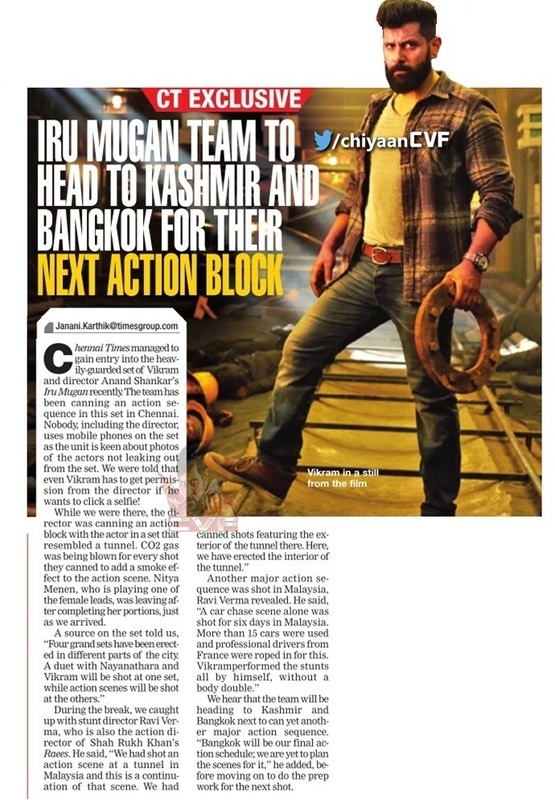 We hear that the team will be heading to Kashmir and Bangkok next to can yet another major action sequence.“Bangkok will be our final action schedule; we are yet to plan the scenes for it,“ he added, before moving on to do the prep work for the next shot.